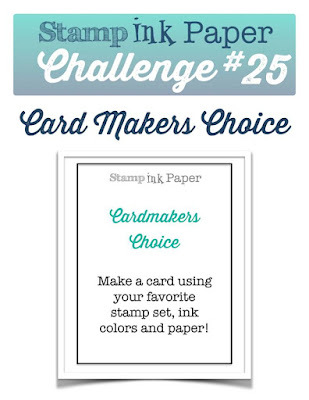 Its Tuesday and time for another Stamp Ink Paper challenge. 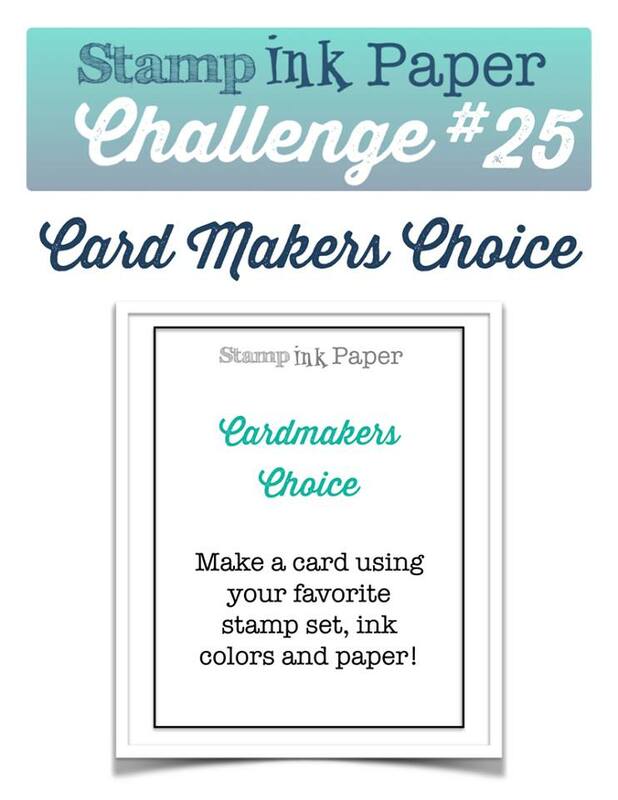 These week's challenge is Your Choice using some of your favourites. Hands down, no brainer for me, butterflies of course. The challenge was deciding which one to use. I've made an Easel card to put my Butterfly on and have taken photos from all angles (below) to show you. The Circle Collection framelits were used along with the Butterfly Basics stamp set for the ferns on the circle base for the butterfly. Here's a closer look at my Gold Butterfly. Doesn't it look great cut out of the foil. On the base of the card I've used "Celebrate" greeting from the Natural expressions pack on a panel of Tip Top Taupe over some Sahara Sand Lace and a Pear Pizzazz punched Decorative label. Here's a closer look at the greeting panel. This forms the anchor to stand the Easel card. And the side view, so you can see how the card sits. My Butterfly Easel card. What will you make this week. We can't wait to see. 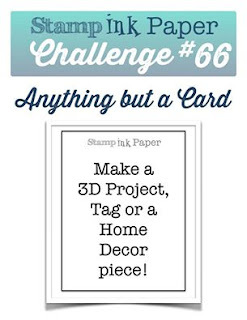 For more inspiration for this challenge please visit Stamp Ink Paper and see what our talented team have created this week. See you there. Carolyn this is beautiful. That gold butterfly is so elegant. Thank you very much Sandy, love my butterflies.